Scholarly books dealing with the Olympics and other sports mega-events, especially those dealing with specific Olympic Games or tournaments, tend to have a common format. The author(s) often adopt a pro- or anti-Games position (there is seldom any middle ground), explore the financing and levels of disruption/development (depending on the degree of pro- or anti-orientation) associated with the Games and their staging, reflect on the ‘legacy’ of the Games, consider the various forms of mediated engagements and may make some effort to evaluate the politics (usually institutional) of the events. There are, of course, from time to time variations to this rule, such as Jules Boykoff’s discussions of anti-Olympic activism, but for the most part the format is fairly similar and driven by the conventions of social scientific writing and an emerging orthodoxy in the form of argument. The first thing to note about Phil Cohen’s excellent On the Wrong Side of the Track? is that he does not adopt this form of argument and neither does he adopt the rigidities of a pro- and anti-Games position. The book is structured as a dialogue between two narratives: in the first we have the stories London (including the East End) tells itself (and the world) about the East End, while in the second we have a more fluid arrangement of the stories the planning for, development of venues for and two weeks of the 2012 Olympics told about the East End/London/England/UK and the talking back from the East End to the dominant London narrative. The evidence Cohen draws on for these multiple, interweaving and overlapping narratives is extensive – ethnographic work over several years in East London communities, close engagement with the Olympic Park workforce, analyses of the various opening and closing ceremonies as well as cultural work (visual and other arts, literary texts and other ways we make manifest our imagined communities). At the heart of this analysis, however, is narrative – the stories told by and about London and its component parts. The focus in this case is the various ways various narratives of London, including those of its Olympics, imagine, construct, present and explain the city’s east as a wild, disruptive, disorganising, stable, deep-rooted, community network oriented component in a city where these narratives incorporate and run across stories told by Power (the dominant ideals of west and central London). These dialogues between narratives allow Cohen to step beyond the pro- and anti-Olympic dichotomy to develop what he calls a Para-Olympic perspective, while acknowledging the difficulty of the prefix as meaning beyond or outside as well as subordinate and irregular or dysfunctional. 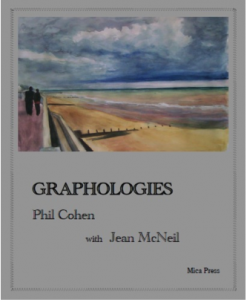 By working through these etymological tensions Cohen presents Para-Olympic approaches as a form of ‘third-space’, as fully and properly dialectical, not dealing with either/or but with dialogue, struggle and contradiction (in the philosophical-but-not-quite-Hegelian sense). He therefore argues that in Olympic studies this Para-Olympic approach demands that the conventional analyses, the pro- and anti-, the ‘hard’ and ‘soft’ legacies, the panoptic of “forensic social science” (p21) must be put aside to consider the relations between and within the experience as a means to get a hold of what is actually going on. This dialectical approach therefore makes this book far more fluid and engaged with the subtleties of the Games as experienced and as narrative than are many of the more common and increasingly conventional Olympic (and other mega-event) analyses. This exploration of multiple economies is further extended through analyses of mediatised economies along a number of tropes. A significant strength of the book is Cohen’s attention to the work of the Olympics (other readers will find other vital foci; the voices of East Enders and the priority given to their narratives is one many are likely to celebrate). The emphasis on work-as-labour in this dialectical approach allows Cohen to consider the contradictions between the labour of venue construction and the labour of the athletes who will perform in those venues, as well as the tensions between and mimetic characteristics of the ideals of masculinity associated with the physical labour of construction and the masculinities associated with physicality of sports performance. This dialectical approach also opens up exciting approaches to the economics of the Olympics (and by implication other sporting mega-events) through discussions of the relative characteristics of the market economy of the games and their moral economy leading to a suggestion that there is an Olympic compact between three forms of economic cultures – one of endowment, a hospitality culture and an enterprise culture. This exploration of multiple economies is further extended through analyses of mediatised economies along a number of tropes. This is a rich, nuanced and complex but not complicated analysis that bears multiple revisits. Cohen suggests that for those interested specifically in the London games rather than the larger questions of multiple narratives of London can avoid (as in not bother to read) the first three chapters exploring London’s narratives of the East End. He is, of course, right, these chapters can be avoided but at the expense of a fuller understanding of his analyses of the moral and cultural economies of the Games and of the dialogue between narratives involved in his discussion of both sets of opening and closing ceremonies; passing over the first three chapters is likely to result in a reading of the Games’ narratives in national terms rather than the much more localised reading of the spaces and places lived in by people before, during and after the Games. 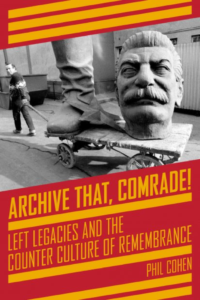 In addition to the book, there is extensive material available on-line including picture galleries and documents in support of the analysis and discussion; the book is well illustrated with high production standards (which may well have added a bit to the cost, but it is well worth it). 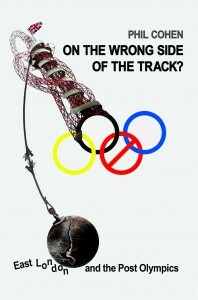 This excellent exploration of what Ken Worpole (in the blurb) has called “the cargo cult known as the 2012 Olympics” challenges other analysts to break away from the forensic empiricism of conventional social science and adopt a more dialectical approach to consider the lived experiences of the Games. There is, of course, still a place for close empiricist analyses, especially in the economic and related discussions, but without attention to Cohen’s narrative oriented, Para-Olympic framework our understandings of not only the Olympics but other sporting mega-events as well will remain deficient. We can only hope to see similar analyses of this year’s Sochi shenanigans and recent and forthcoming extravaganzas in Rio and elsewhere in Brazil. The enduring puzzle I have since starting this book is the title – why track rather than tracks? It goes without saying that the reference is not simply to the sprinting and other tracks that made up the Olympic Games but – presumably – to the very visible railway tracks that run through Stratford in East London. The bridge which straddles the railway line at Stratford station marks a dividing line between the ‘new’ and ‘old’ East London. To the west is the new Westfield shopping centre with its aspirational stores and the site of the 2012 Olympic games where the athletes’ village is now being converted into similarly aspirational homes for those desperate to buy into London’s red hot housing market. To the east is the ‘old’ 1970s shopping centre with its pound shops and very different ethnic, class and generational demographic of what has always been one of the poorest three local authority areas in the United Kingdom. I have a feeling though that the track refers not only to more forms of track – notably a musical one but also to the idea of a single track mind. Nobody could accuse the author of having one of them given the manner in which he unpicks the multidimensionality of what has largely been promoted as a single track story of regeneration. I am therefore still scratching my head about what exactly is the book’s subject – and that is intended as a compliment rather than a criticism. Self-evidently, this is not simply a book about those on their way up and those on their way down to which a crude spatiality can be attached – though that is largely the case. 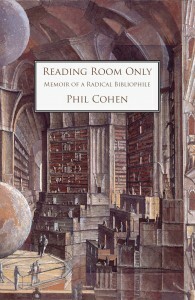 Phil Cohen has long practised a synthetic approach to social analysis combining a number of genres in his writing; his earlier work on youth culture (my favourite being Knuckle Sandwich) brought together cultural studies, youth studies and sociology into a critical ethnography against what was rapidly becoming the emerging orthodoxy of the new deviancy approach to criminology. For the last quarter of a century Cohen’s research has been on East London; the Olympics were clearly too good a gift horse to look in the mouth and he has been able to use it as a peg on which to hang a stimulatingly original analysis of how ‘rolled out neo liberalism’ has taken hold of an area that symbolized old-style capitalist urban development. The story is one in which capital gets its way at the expense of people in the transformation of a part of London that has continued to house more poor people than any other part of this rapidly gentrifying city. The irony, which comes out in Cohen’s story, is of course that many of those who pay the cost of this go along with it and not simply because they learned to sing the Olympic song. The book weaves together mainstream social science with cultural analysis into an account of the transformation of East London from monoethnic working class quarter of London to what it has become today. What this is remains – to me at least – unclear: certainly not mono ethnic, probably no longer working class but still poor. East London – as ever – remains living proof of the victory of cultural geography over any easy physical or social definitions of this north eastern segment of London. If cultural geography did not exist, it would have to have been invented to encompass what we understand by East London and Cohen is well qualified to move this analysis into the 21st century. What we have is a book of two parts in which the decision in 2005 to stage the 2012 Olympic Games in East London is the watershed dividing a ‘before’ and ‘after’. 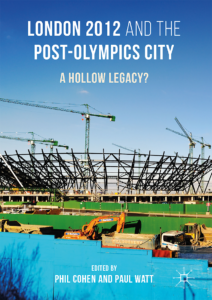 Broadly the book is concerned with the ‘during’ which is taken up by the seven years it took to plan, construct and deliver the Olympics. The Olympics are therefore no more than a device to describe what would almost certainly have happened anyway in a rather more humdrum and less dramatic fashion. Even in 2005 the planning permission to build the Westfield shopping centre at Stratford was the most detailed ever presented to a London borough at a time when a series of other infrastructure and development projects had already been assaulting what was London’s last ungentrified quarter. In the first part of the book, Cohen charts this story of how East London has been changing since the 1970s with the collapse of manufacturing and the riverside industries that sustained it from the end of the nineteenth century through much of the twentieth. His account focuses on issues of work, class and ethnicity and how a white working class saw itself being usurped from what it had come to believe was its rightful place in the city. At the same time, Cohen shows how new ethnicities (get it?) were emerging across the territory. In the second part of the book, the focus changes to illuminating how this changing landscape became part of an official narrative – some might call it policy – of regeneration which made a virtue of the inevitable. It has all perhaps come together in the rhetoric surrounding the emerging E20 – London’s newest postcode.